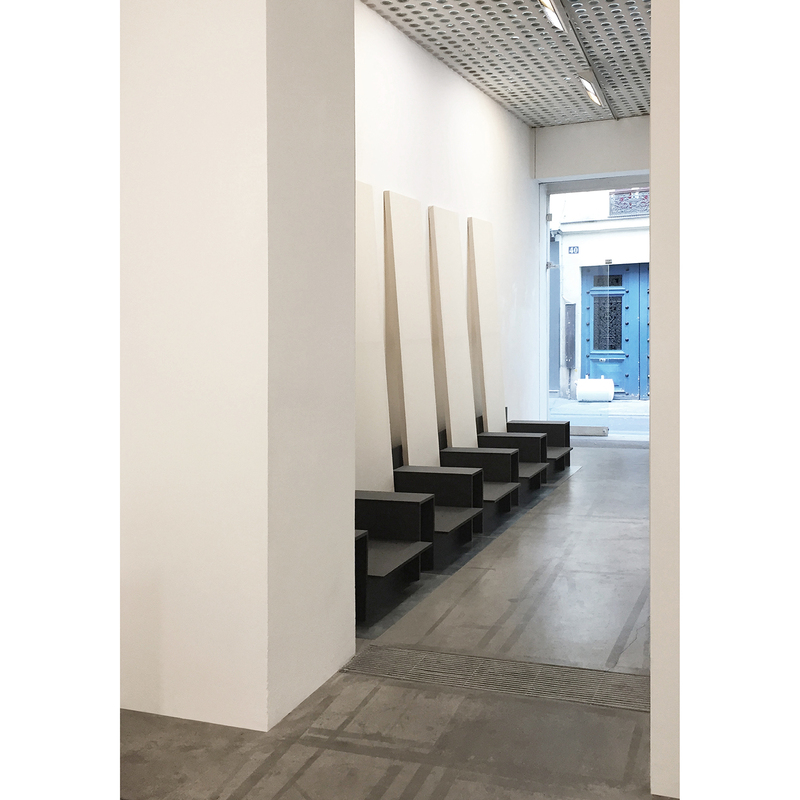 During a week long presentation, a series of furniture pieces displayed a selection made from an extensive Helmut Lang archive, within the Paris showroom of DMSR, during Paris Fashion week, Feb 2018. 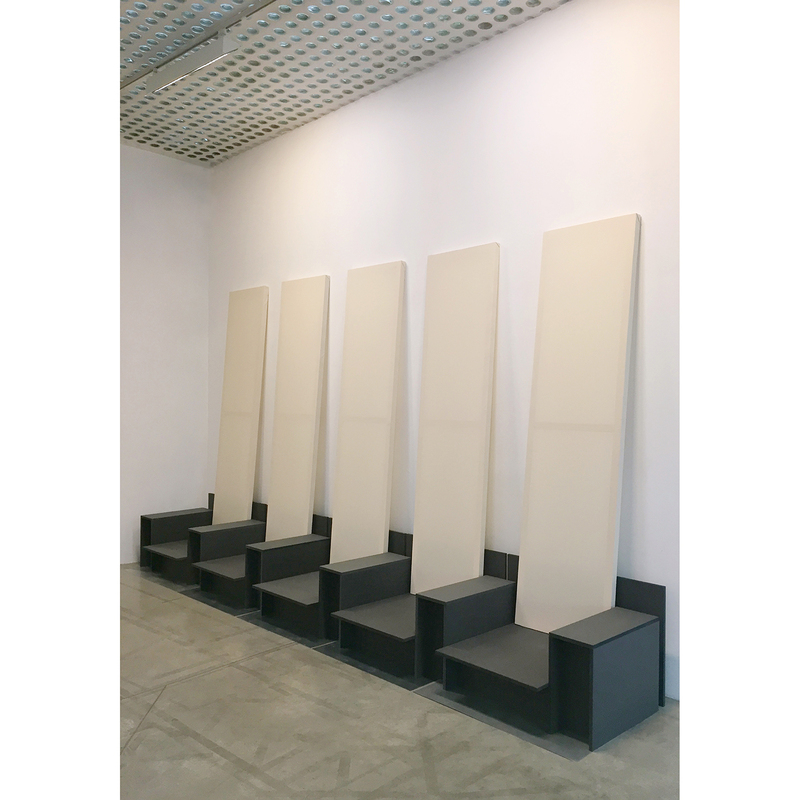 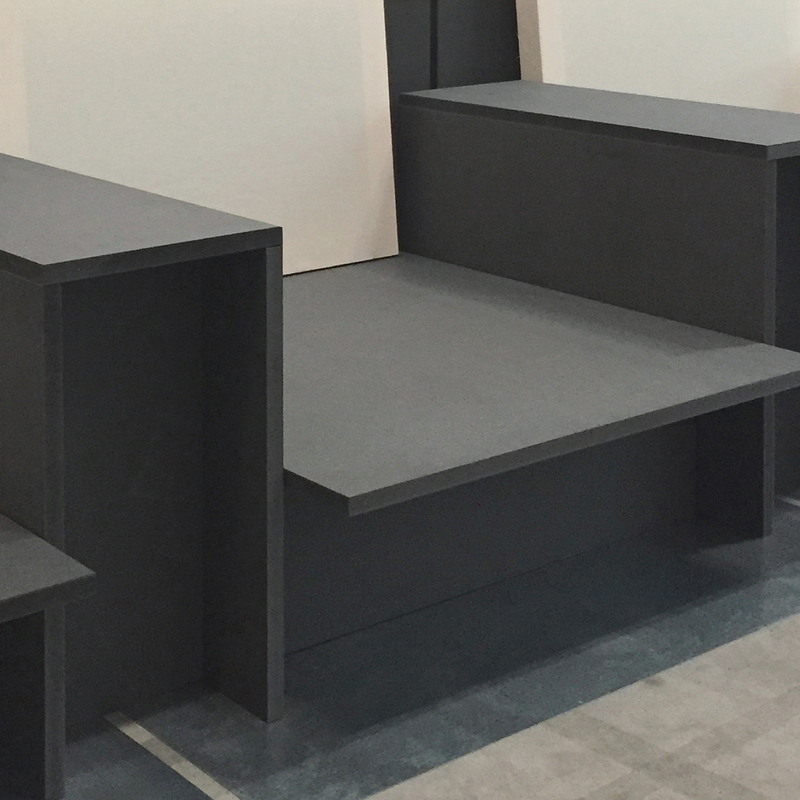 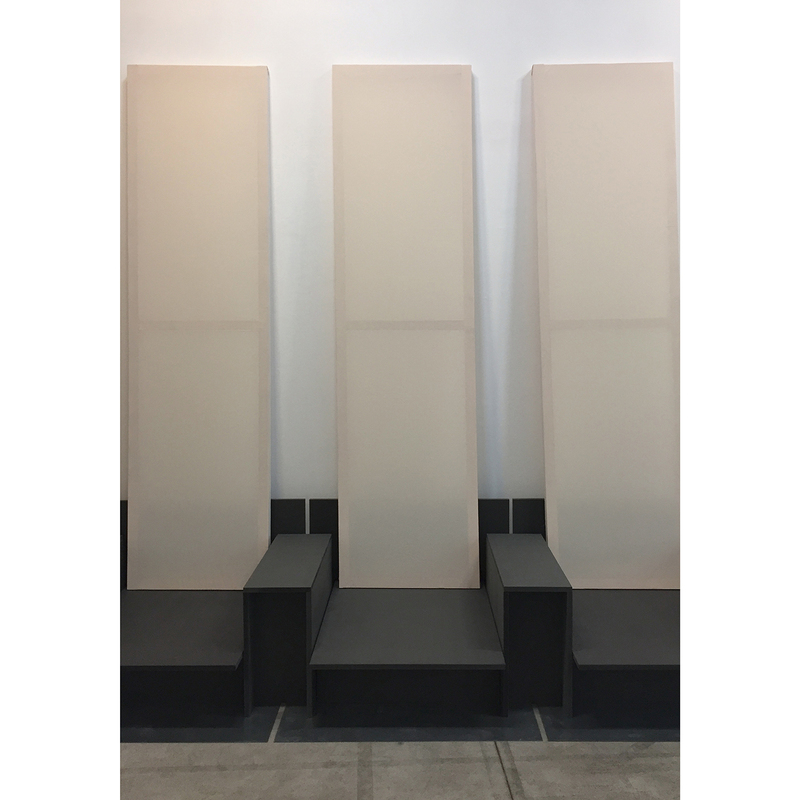 The exhibition furniture makes clear reference to the Helmut Lang stores of the 90’s that featured the use of simple materials in monolithic arrangements. 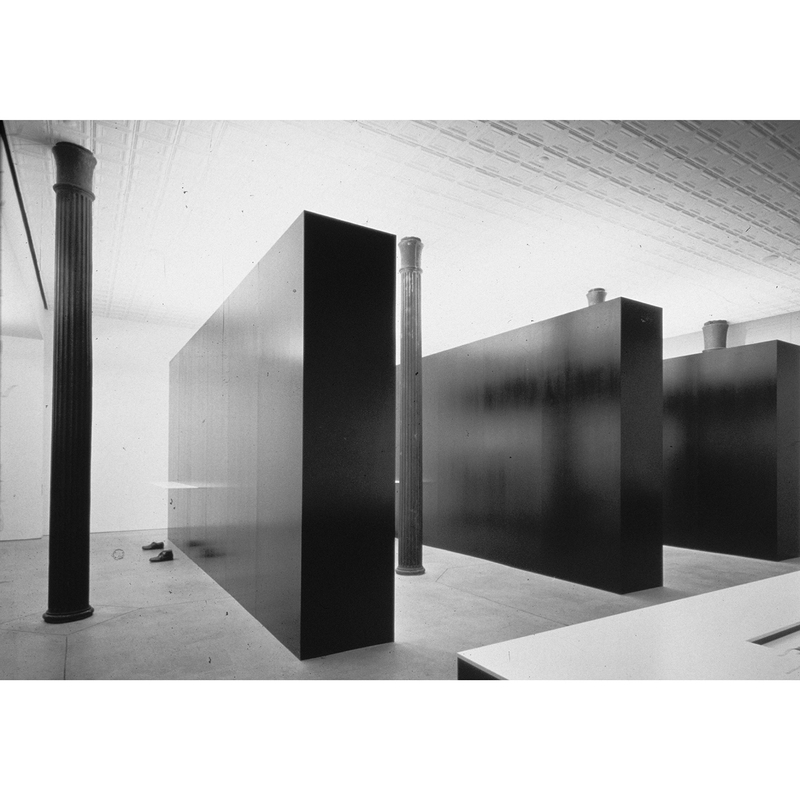 5 black slate chairs sit atop galvanized steel plates, against which stretched canvases form a backdrop to the displayed items. 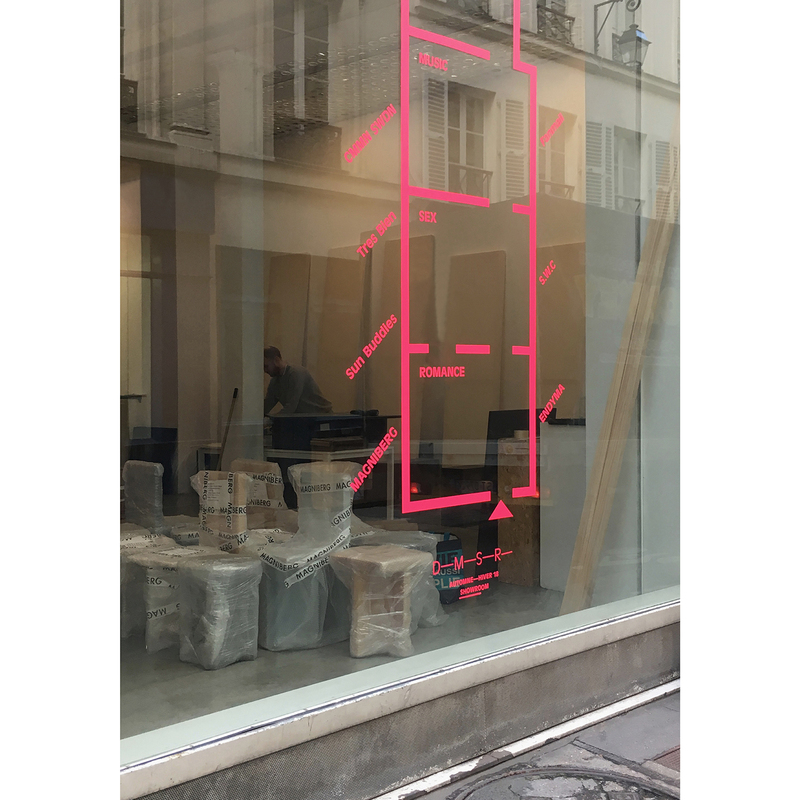 Exhibited between 17th – 23rd of January 2018. 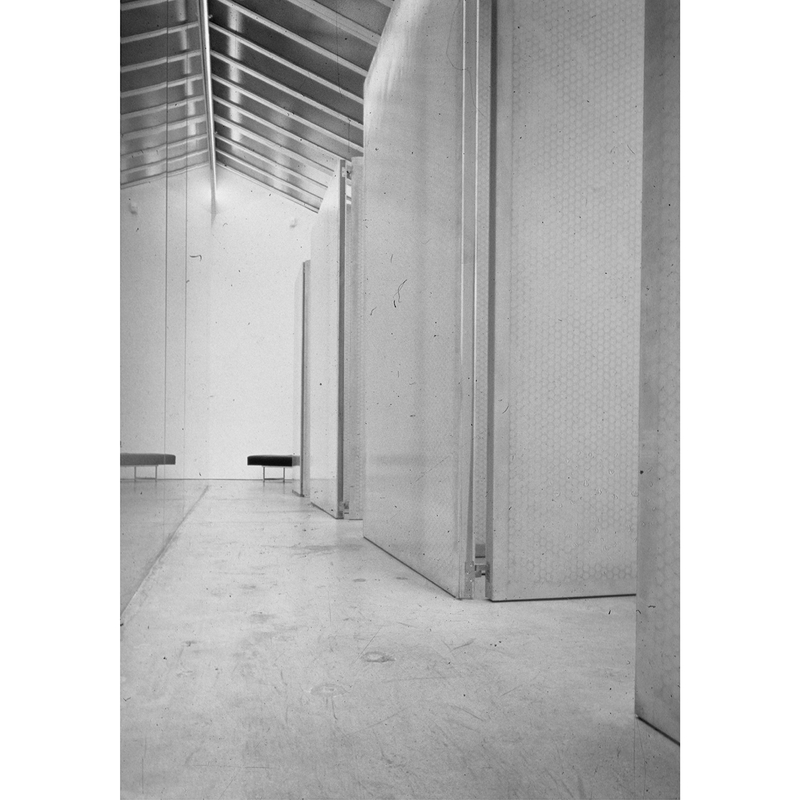 Images 6/7 of 7 (B/W); Studio Cicetti Architect’s.